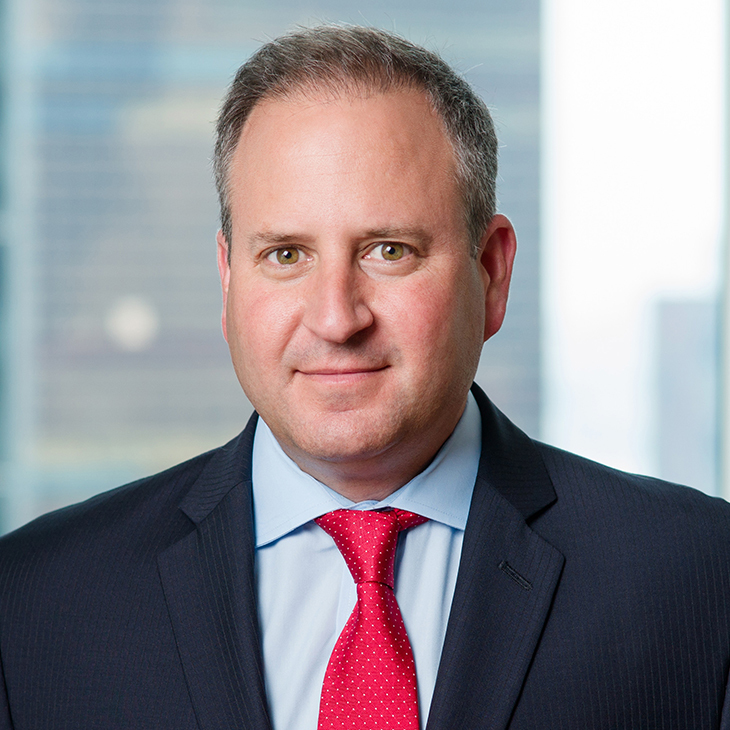 Brian S. Korn is a partner in the New York office and leads the firm’s fintech practice. His practice focuses on corporate finance transactions, including initial public offerings (IPOs), early-stage and start-up venture financings, fund formation and high-yield debt finance. He also advises clients on SEC and broker-dealer/investment advisory compliance, corporate swap transactions and blockchain technology. Prior to joining Manatt, Brian served as head of Equity Capital Markets and Syndicate Compliance at Barclays Capital and as senior vice president and assistant general counsel at Citigroup Global Markets, Inc. He has extensive experience representing issuers and underwriters in investment banking and capital markets transactions, including IPOs, SPACs, spin-offs, split-offs and carveout/tracking stock transactions. He also has extensive experience in sponsor-leveraged buyouts and bank/bond acquisition financing. Brian has made multiple appearances on Fox Business Television, Bloomberg, CCTV America and National Public Radio commenting on the JOBS Act, including its impact on crowdfunding, marketplace lending, IPOs and market trading dynamics. He is also a prolific speaker and writer in the fields in which he practices. Brian was selected to serve on the advisory board of the Lexis Practice Advisor, an online product providing legal and market insights and practical guidance for attorneys. He is a graduate of the University of California at Berkeley and the Northwestern University Pritzker School of Law. Speaker, “What Investors Want From Loan Assets,” 2019 AltFi London Summit, March 18, 2019. Speaker, “A Regulatory Overview of Blockchain, Smart Contracts, Cryptocurrrencies, Virtual Wallets, Machine Learning and FinTech,” New York City Bar, January 11, 2019. Speaker, “Fintech Investment Trends Between the US and Europe in the Age of Trump,” LendIt Fintech Europe 2018, London, November 19, 2018. Speaker, “The Midterm Elections: How They May Impact Your Business in 2018 and Beyond,” Bloomberg Next Webinar, November 8, 2018. Moderator, “Crowdfunding: The Real Deal,” Urban Land Institute Fall Meeting, Boston, MA, Oct. 10, 2018. Moderator, “Banking Fintech and Innovation: Regulatory Best Practice and Consumer Protection,” Online Lending Policy Summit, Washington, D.C., October 9, 2018. Speaker, “OCC’s New FinTech Charter - What Does It Mean for Lenders and Investors?” PeerIQ Webinar, August 8, 2018. Panelist, "Digital Finance: The New Deal," Corporate Council on Africa’s Africa Finance Forum, Washington, D.C., April 18, 2018. Moderator, "Deregulation: Friend or Foe? Where We Stand One Year In," LendIt Fintech USA 2018, April 10, 2018. Panelist, “The next phase for the SME funding revolution: Taking on mid-market lending,” AltFi London Summit 2018, March 26, 2018. Speaker, “Emerging Compliance Risks and Enforcement Trends in Fintech,” Manatt Webinar, March 15, 2018. Speaker, “Five Things You Should Know Before You Do Anything in Crypto,” Blockchain for Impact: Family Office and Institutional Investor Educational Seminar, March 12, 2018. Speaker, “Private Equity Structuring: The Basics,” New York City Bar, February 9, 2018. Presenter, “Working With Fintech Originating Banks: Best Practices and the Evolving Regulatory Environment,” First Associates Webinar, February 7, 2018. Speaker, “Bitcoin and Initial Coin Offerings (ICOs): A Primer on Offerings, Trading and Enforcement,” New York City Bar, January 18, 2018. Panelist, “Bitcoin, Blockchain and Digital Assets,” 2018 Digital Asset Investment Forum, January 16, 2018. Speaker, Opal Group’s 2017 Marketplace Lending & Alternative Financing Summit, December 4, 2017. Speaker, First Associates Lending Industry Networking Breakfast, November 1, 2017. Speaker, “Are We Really Protecting Borrowers?” Online Lending Policy Summit, September 25, 2017. Chairman, Practising Law Institute’s Marketplace Lending and Crowdfunding Program, September 7, 2017. Moderator, “From Crowdfunding to IPO,” Crowd Invest Summit, September 6, 2017. Panelist, “The US Lending and Investing Market: A View From the Top Dealmakers,” LendIt China, July 15, 2017. Panelist, “Non-Traditional Financings,” 18th Annual B. Riley & Co. Institutional Investors Conference, May 24-15, 2017. Speaker, “Spotlight on Fintech,” The Fourth Annual Crowdfunding USA Conference & Workshop, May 4-5, 2017. Speaker, AltFi Europe Summit, March 30, 2017. Speaker, “True Lender and Madden Case: Impact on Industry—2 Years In,” LendIt USA, March 6, 2017. Speaker, “Crossroads Between Compliance, Best Practices and Ethics; Deals and Claims—The Ethical Implications,” Private Equity Structuring: The Basics Webcast, February 10, 2017. Keynote speaker, Fifth Annual Silicon Valley Fintech & Crowdfunding Conference, February 9, 2017. Speaker, “The Revolution in Lending and the State of the Online Lending Marketplace,” 2nd Annual Marketplace Cloud Lending Summit & Expo, January 19, 2017. Speaker, “Marketplace Lending and Crowdfunding in a 2017 Trump Administration,” PLI Webcast, January 12, 2017. Speaker, AltLend: 2016 in Review Webinar, December 13, 2016. Panelist, “Real Estate Crowdfunding & Lending Update,” The Crowdfunding Conference 2016, December 7, 2016. Moderator, “Real Estate Crowdfunding,” The Crowdfunding Conference 2016, December 6, 2016. Panelist, “The Future of Alternative Lending,” Marketplace Lending & Alternative Financing Summit, December 5, 2016. Speaker, FinTech Revolution Symposium NYC, November 15, 2016. Speaker, Regulation A+ Boot Camp, November 10, 2016. Panelist, “What To Think About When Investing Internationally,” LendIt Europe, October 10, 2016. Panelist, “U.S. View of Regulation,” LendIt China, July 17, 2016. Panelist, “Investor Perspectives: Opportunistic Plays and Risk Hedging,” Debtwire’s Marketplace Lending Forum, New York, NY, June 22, 2016. Speaker, Southern California Mega Marketplace Lending Meet-Up, Costa Mesa, CA, May 3, 2016. Speaker, "Legal and Regulatory Q&A," LendItUSA, San Francisco, CA, April 12, 2016. Speaker, Pre-LendIt Meet-Up: What Marketplace Lenders Need to Know Right Now, New York, NY, April 7, 2016. Speaker, "#Crowdfunding—The Future of Raising Capital Online via Reg D and Reg A+," 80th Annual STANY Conference, New York, NY, April 7, 2016. Speaker, "Alternative Strategies for Raising Capital," OTC Markets: Capital Raising 2.0, New York, NY, April 6, 2016. Panelist, "The Impact of Technology on Today's Market," Bank Director's Acquire or Be Acquired Conference, Phoenix, AZ, February 1, 2016. Moderator, "The Crowdfunding Revolution and the Reinvention of Capitalism," New York, NY, January 26, 2016. Panelist, AltLend: Consumer Conference, San Francisco, CA, January 21, 2016. Panelist, “Integrating Reg A+ and Title II Crowdfinance Into Your Capital Strategy,” The Growth Capital Summit, Washington, D.C., November 18, 2015. Speaker, “Perspectives From Washington,” Marketplace Lending + Investing Conference, New York, NY, November 4, 2015. Speaker, 4th Annual GCCB Conference, Las Vegas, NV, October 26, 2015. Panelist, “LendIt Europe,” London, U.K., October 21, 2015. Speaker, Orchard & Herio’s The Future of Credit, New York, NY, October 8, 2015. Moderator, PLI’s Crowdfunding and Online Direct Lending Seminar, New York, NY, September 22, 2015. Speaker, NYC Bar Association’s “Private Equity Structuring: The Basics,” New York, NY, September 18, 2015. Panelist, “The Latest SEC/FINRA & State Broker Dealer & Selling Regulations: What a Developer Needs to Know About 506b, 506c, Reg S & Intrastate Rules,” IMN Crowdfunding for Real Estate Forum, Santa Monica, CA, September 16, 2015. Speaker, “Using Reg A+ to Create Fixed-Income Retail Alternatives,” FinFair, New York, NY, July 29, 2015. Panelist, “Navigating Ethics and Professionalism Requirements,” PLI’s Understanding Securities Laws Seminar, New York, NY, July 24, 2015. Panelist, Crowdfunding Intermediary Regulatory Advocates and the Crowdfunding Professional Association’s Regulation A+ Webinar, July 16, 2015. Panelist, “Lending Tech: Peer to Peer, Business Loans,” New Jersey Tech Council’s FinTech Conference, Jersey City, NJ, June 4, 2015. Speaker, “Aggregating Capital for Impact Investing,” Legal Issues in Impact Investing: At Home and Abroad hosted by Morgan Lewis, May 11, 2015. Speaker, “Accredited Investor Definition – Upgraded Legislation – Title III,” 2nd Annual Crowdfunding USA Forum, Washington, D.C., May 7, 2015. Panelist, “LendIT 2015,” New York, NY, April 13-15, 2015. Panelist, “Silicon Valley & The Rise of Alternative Finance,” Mountain View, CA, March 5, 2015. Panelist, “The Small Cap & Alternative Financing Revolution,” Boca Raton, FL, February 26, 2015. Panelist, “AltFi Europe Summit 2015,” London, United Kingdom, February 23, 2015. Speaker, “Understanding the IPO Legal and Regulatory Developments: 2015 Perspective,” The Knowledge Group Webcast,” January 27, 2015. Panelist, “A ‘How to Guide’ to Basic Derivatives, Swaps Clearing & Structured Products,” New York City Bar, New York, NY, January 23, 2015. Moderator/Host, “Marketplace Lending & the Transformation of Financial Services,” Kellogg/Stanford Joint Alumni Event, New York, NY, January 15, 2015. Panelist, “The Changing Regulatory Backdrop,” AltFi Global Summit, New York, NY, November 4, 2014. Panelist, “Crowdfunding Convention and Bootcamp,” Las Vegas, NV, October 23, 2014. Panelist, “Legal Considerations,” Crowdfinance 2014, New York, NY, October 16, 2014. Speaker, “Peer-to-Peer: Fostering Innovation,” Lend360 Conference, New Orleans, LA, October 15, 2014. Panelist, “Next Wave of Innovation,” American Banker P2P Lending & Investing Summit, New York, NY, October 7, 2014. Chair, “Crowdfunding and Online Direct Lending (Peer-to-Peer),” Practising Law Institute Conference and Webcast Program, September 24, 2014. Speaker, “State of Private Debt Affairs – Becoming Acquainted with the New Asset Class,” Apex Lending Exchange, New York, NY, September 16, 2014. Panelist, “Crowdfunding Before the Final Crowdfunding Rules: How Online Crowdfunding and Crowdsourcing Platforms Are Operating Now,” New York State Bar Association Business Law Section Fall Meeting, Manchester, VT, September 11, 2014. Speaker, “IPOs, Private Placements and Crowdfunding: The Evolving Legal Landscape around the JOBS Act,” The Knowledge Group Webcast, August 6, 2014. Speaker, “Evolving Ethics and Professionalism Requirements,” PLI Conference – Understanding the Securities Laws 2014, New York, NY, July 24-25, 2014. Speaker, “Institutional Investment Opportunity Bridging the Funding Gap in an Era of The Vanishing Middle Market IPO,” CFGE: Crowdfund Investment Alt Finance Summit, New York, NY, June 26, 2014. Speaker, “SEC Updates,” 2014 ABFO National Conference, San Francisco, CA, May 30, 2014. Speaker, “Crowdfunding and Peer-to-Peer Lending,” Securities Regulation Committee Meeting, New York State Bar Association, New York, NY, May 21, 2014. Panelist, “Multiple Faces of Crowdfunding on Equity,” Crowdfunding USA Conference & Expo, Atlanta, GA, May 1, 2014. Speaker, “Resales of Restricted Securities” and “PIPE Transactions, Change of Control Transactions,” PLI’s Private Placements and Other Financing Alternatives 2014 Program, March 25, 2014. Speaker, “Recent SEC Activities and Crowdfunding Overview,” New York Investing March Meeting, Manhattan, NY, March 20, 2014. Speaker, “The Volcker Rule and Foreign Banking Entities – Location, Location, Location!” West LegalEdcenter Webcast, March 5, 2014. Speaker, “IPOs, Private Placements and Crowdfunding: How the JOBS Act Spawned a Corporate Finance Revolution,” The Knowledge Group Webcast, December 18, 2013. Speaker, “Ethics and Professionalism in Securities Law,” PLI Conference – Understanding the Securities Laws, December 13, 2013. Speaker, “Corporate Finance and Capital Markets Update: Where Do We Go From Here?” 31st Annual Business & Securities Law Conference, Boston, MA, October 24, 2013. Speaker, “Legal Framework for Business Financing” and “JOBS Act – Fools Money or Financial Revolution,” Crowdfunding East Conference, Cambridge, MA, August 28, 2013. Speaker, “Understanding the Securities Laws 2013,” Practising Law Institute, July 25-26, 2013. Speaker, “Legal Framework for Business Financing in the United States” and “Equity Crowdfunding – Fools Money or Financial Revolution,” Crowdfunding PRO and CONTRA Conference, Denver, CO, May 3, 2013. Speaker, “The Evolving Use of Social Media: Protecting Your Organization,” New York Law Journal’s In-House Counsel CLE Seminar, April 30, 2013. Speaker, “Private Placements and Other Financing Alternatives 2013,” Practising Law Institute, April 15, 2013. Speaker, “A ‘How to Guide’ to Basic Derivatives & Structured Products,” New York City Bar Association, January 2013. Speaker, “The JOBS Act and Its Impact on Capital-Raising,” The Knowledge Group Webcast, December 2012. Speaker, “Securities Offerings 2012: A Public Offering: How It Is Done,” Practising Law Institute, April 2012. Speaker, “Setting the Stage: Preparing to Go Public,” Barclays Capital 2011 IPO Summit, May 2011. Speaker, “How to Prepare an IPO,” Practising Law Institute, 2010. Co-author with Benjamin T. Brickner, “Manatt Fintech’s Top 5 Takeaways of 2018,” LendIt Fintech News, January 7, 2019. Quoted, “Online Investing in Real Estate through Crowdfunding Expected to Grow,” Urban Land, October 10, 2018. Co-author with Benjamin T. Brickner, “States Take Action on Bitcoin Online Lending,” Financial Services Law, August 16, 2018. Interviewed, “Attorney Brian Korn: Fintech Charters Will NOT be Effective Unless Federal Preemption is Available to Holders,” Crowdfund Insider, August 3, 2018. Quoted, “Fintechs Can Now Jump Into Arizona’s Innovation Sandbox,” Bloomberg BNA, August 2, 2018. Quoted, “Devil Is In Details On OCC Fintech Charter, Attys Say,” Law360, August 1, 2018. Mentioned, “Digital lenders first to show interest in national bank charter,” S&P Global, August 1, 2018. Author, “Fintech Update: Regulators Join Together for Fintech Oversight,” SA Financial Regulation Journal, June 12, 2018. Quoted, “MPL ABS set to grow in 2018, but credit cracks begin to show,” GlobalCapital, February 27, 2018. Quoted, “Bills Being Introduced to ‘Fix’ Decision in Madden v. Midland,” Lend Academy, August 30, 2017. Quoted, “U.S. Banking Regulator Supports Giving National Licenses to Financial-Technology Firms,” Wall Street Journal, July 19, 2017. Interviewed, “Brian Korn on OCC Fintech Charter: Novel Attempt by Regulatory to Adjust to Changing Times,” Crowdfund Insider, January 22, 2017. Quoted, “Comptroller to consider fintech charter applications,” Altfi News, December 5, 2016. Quoted, “Sizing Up the Government’s New Fintech Plan,” Wall Street Journal, December 2, 2016. Quoted, “Quick reaction to the OCC’s Fintech Charter,” Lending Times, 2016. Quoted, “New Fintech Charter Proposed by the OCC,” Lend Academy, December 2, 2016. Mentioned, “Dealmakers,” Daily Journal, November 22, 2016. Quoted, “Survey confirms US banks prefer to collaborate with fintechs,” AltFi.com, October 26, 2016. Quoted, “Fintech comes to Regional and Community Banks,” Fintech Finance, October 25, 2016. Co-author, “Madden High Court Denial—Much Ado About Not Much,” Law360, June 27, 2016. Author, “Justice Department Sides With Financial Industry on Madden Case,” Financial Services Law, May 25, 2016. Co-author, “Treasury Issues White Paper on Marketplace Lending,” Financial Services Law, May 12, 2016. Author, “Madden Tells SCOTUS That Marketplace Lenders Should Not Worry About Madden,” Financial Services Law, March 1, 2016. Author, “Madden 2015 Has Nothing to Do With Football,” Lend Academy, August 10, 2015. Author, “Lending Club IPO Packs More than the Usual Legal Drama,” Lend Academy, November 4, 2014. Co-author, “Guidelines for Foreign Securities Issuers in the United States,” Westlaw Journal Securities Litigation & Regulation, June 12, 2014. Co-author, “Hut, Hut, Hike! Investors Buying Stock in NFL Player Through First Fantex IPO,” Harvard Law School Forum on Corporate Governance and Financial Regulation, May 10, 2014. Co-author, “Top 5 Things You Should Know About Online Direct (P2P) Lending Law and Regulations – Before You Do Anything Else!” April 29, 2014. Co-author, “No Easy A: SEC Proposes Rules for Regulation A+,” December 20, 2013. Co-author, “Business Forum: Overseas Firms Look to U.S. for IPOs,” Pittsburgh Post-Gazette, November 29, 2013. Co-author, “U.S. Markets Become IPO Venue of Choice for Non-U.S. Firms,” Financier Worldwide, November 29, 2013. Author, “SEC Proposes Crowdfunding Rules,” Forbes, October 23, 2013. Co-author, “Resales of Restricted and Control Securities under Rule 144,” The Review of Securities & Commodities Regulation, September 18, 2013. Co-author, “Why We Could Easily Have Another Flash Crash,” Forbes.com, August 9, 2013. Co-author, “New Paradigms in Investor Liquidity: Private and ‘Off-Market’ Resales of Securities Under Rule 144 and Beyond,” Practising Law Institute’s Understanding the Securities Laws 2013 Course Handbook. Co-author, “Supreme Court Rules DOMA Unconstitutional – Securities Law and Corporate Finance Implications,” Law360, July 15, 2013. Author, “Landmark Swaps Rules Adopted by CFTC,” May 24, 2013. Author, “The Trouble with Crowdfunding,” Forbes, April 17, 2013. California’s DBO: New Leader, New Enforcement, New Bureau?